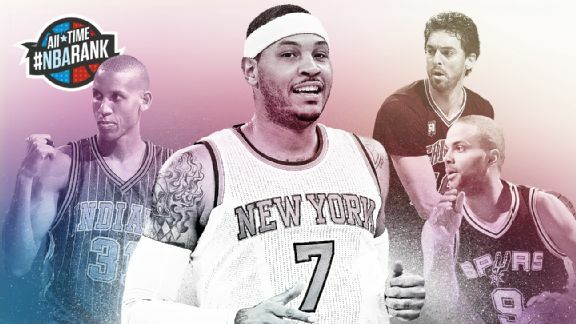 Our All-Time #NBArank countdown of the 100 greatest ballers in league history hits the top 50! The top 100 will roll out over the next few weeks. We have already announced players 51-60, 61-70, 71-80, 81-90 and 91-100. Also, check out our positional rankings of the 10 best point guards, shooting guards, small forwards, power forwards and centers of all time. We'll unveil one player every hour starting at 11 a.m. ET. 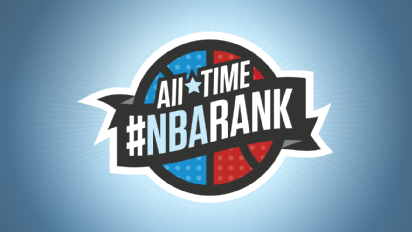 If you want to get involved in the discussion or just follow along, #NBArank is the Twitter hashtag to use. You also can follow along @ESPNNBA and on Facebook.